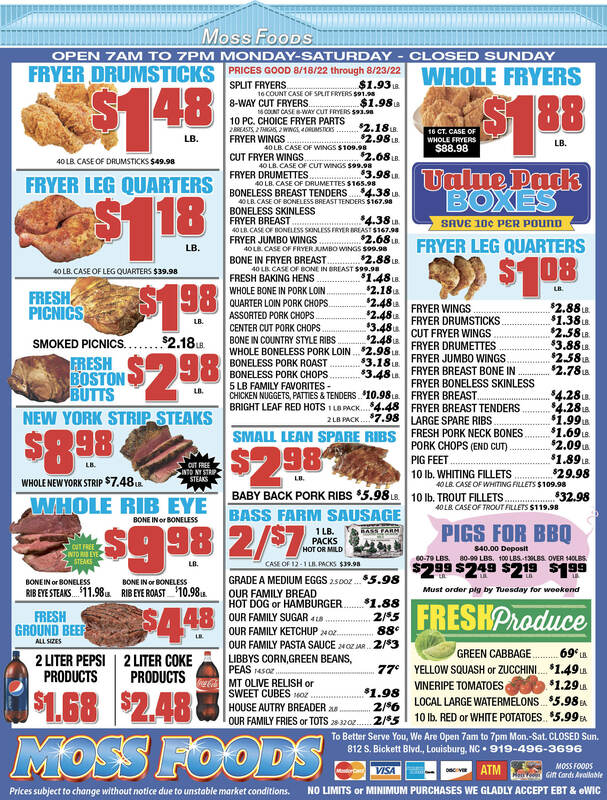 Showing 25 articles from October 4, 2017. YOUNGSVILLE -- A Wake Forest man is slated to appear in court later this month to face the first of several charges related to a high-speed chase through two counties that ended with a hand-to-hand battle over control of a Toyota Prius he used to play chicken with tractor trailers and a police cruiser. 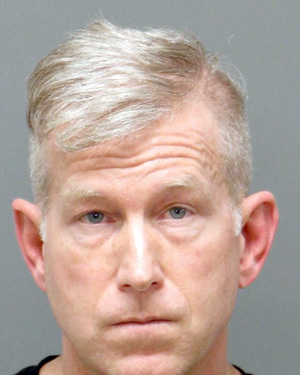 Youngsville police charged 54-year-old Kevin Richard Morgan with assault with a deadly weapon on a government official, reckless driving and wanton disregard and misdemeanor injury to personal property. 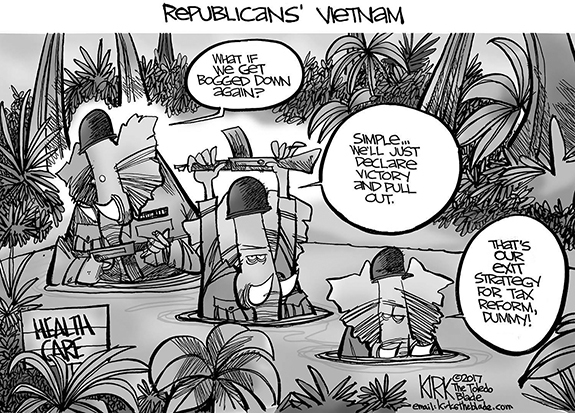 TANKS FOR THE MEMORIES. 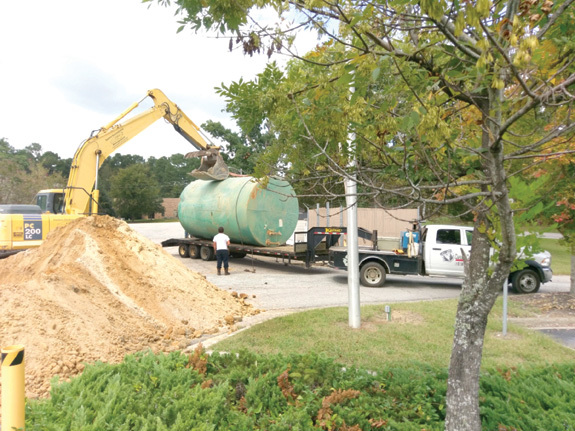 A crew removed an underground fuel tank from the hospital location, one of Franklin County's last bit of business before executing a lease with Duke Lifepoint to operate healthcare at the old Health Management Associates and Novant Healthcare location in Louisburg. A new above ground tank is expected to be installed in about two months. 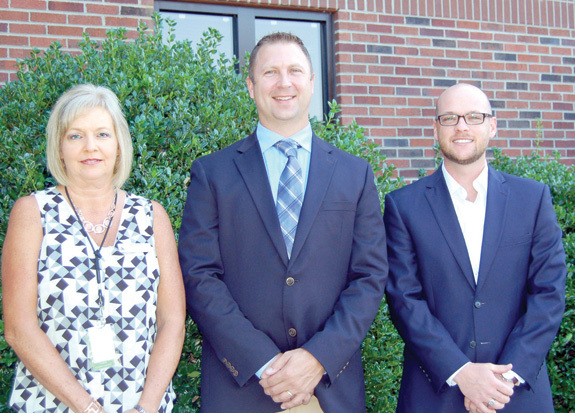 Franklin County officials signed the lease agreement with the new operator on Sept. 29. YOUNGSVILLE -- The Committee of 100's annual meeting was all about change. They changed the meeting time and place from a dinner at Hillridge Farms to a breakfast at Wake Electric. They amended some bylaws to, as treasurer Ronnie Goswick put it, "move at the speed of business." LOUISBURG -- A Henderson man was sentenced Monday to a maximum of nearly eight years in prison for his role in a homicide. 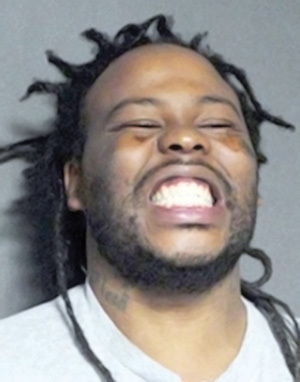 Authorities arrested James Marshall Small Jr., 32, on October, 23, 2015, days after they found the body of 20-year-old Eddie Ronald Davis Jr. in Franklin County. Davis' body was found in a field in the 5800 block of U.S. 401 -- less than a 20 minute drive from the two men's homes in Henderson. The annual Tar River Festival is coming to downtown Louisburg on Saturday and promises both new and old favorites to entertain visitors. 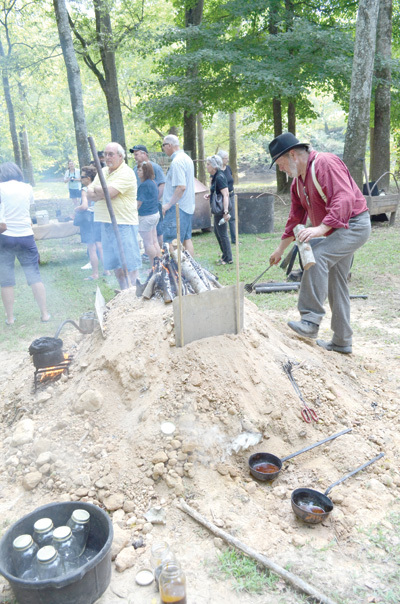 One of the more unusual attractions will be turpentine making, a craft first displayed at last year's festival as part of the River of Yesteryear exhibits that were set up in Riverbend Park. Mother Nature's hints were right, fall has fallen! Granted, Mother Nature has been hinting around for a few weeks that fall was on its way, but all doubt has evaporated in recent days. The humidity largely left (thankfully), the days of 90-degree and higher temperatures are likely gone until late next spring and there is a decidedly distinct hint of color in the leaves. Somehow, summer has come and gone again -- but October is one of the prettiest months of the year around here, especially if you can forget what is coming next. Something happened this week that has largely been overshadowed by the horrific events in Las Vegas, but this overlooked event may have effects that far outreach the nation's worst mass shooting. Facebook Inc., turned over the copies of at least 3,000 ads to the U.S. Congress. It's hard to imagine that anyone could have an issue with the purpose for Colin Kaepernick taking a knee -- rather than stand for the playing of this country's national anthem prior to the kickoff of National Football League games. At the time -- more than a year ago -- there was incident upon incident of minorities in this country losing their lives at the hands of white police officers. TYRE'S TIME. 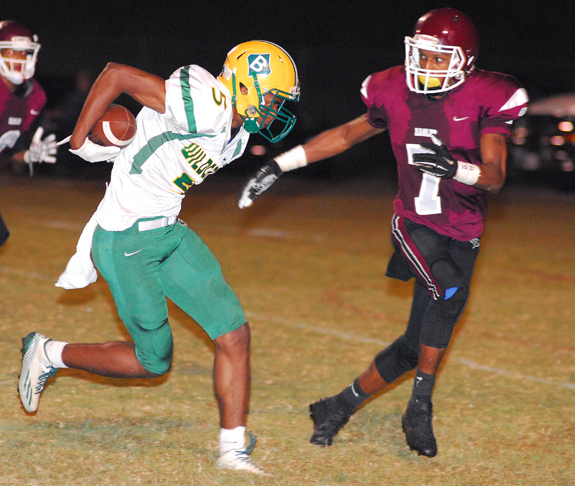 Bunn's Tyre Davis picks up yardage on the ground last Friday against the Warren County Eagles. 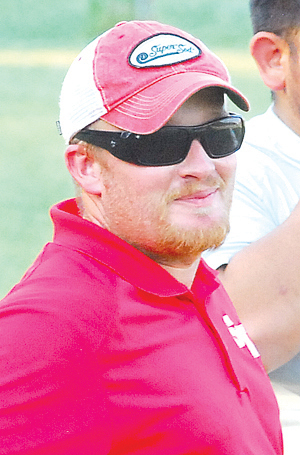 WARRENTON -- Few are the football games in Northern Carolina Conference lore when a team allowed 29 points in the first 15 minutes of action -- and was still able to secure a runaway victory. That's the improbable scenario that went down last Friday as Bunn and host Warren County jousted in an offensive slugfest during the opening half of the key NCC showdown. 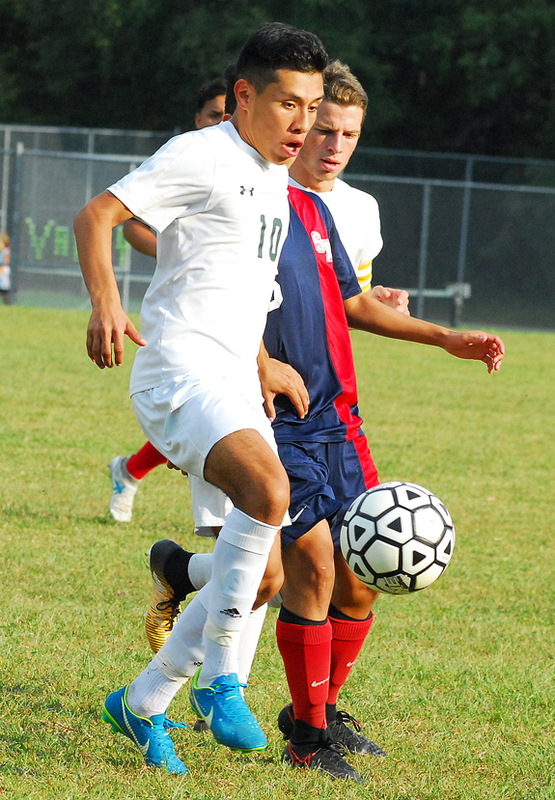 BUNN -- Even though Southern Nash had defeated Bunn by five goals back in August, both coaches expected much tighter proceedings during last Thursday's boys soccer rematch on the BHS campus. SN coach Carlos Barron knew Bunn had displayed improvement as the campaign progressed, and he wondered how his club would responded to a non-league challenge after a long string of tough Big East Conference events. FHS SERVING SENSATION. Franklinton's Emma Albright sends a serve toward a foe during last Thursday's match. 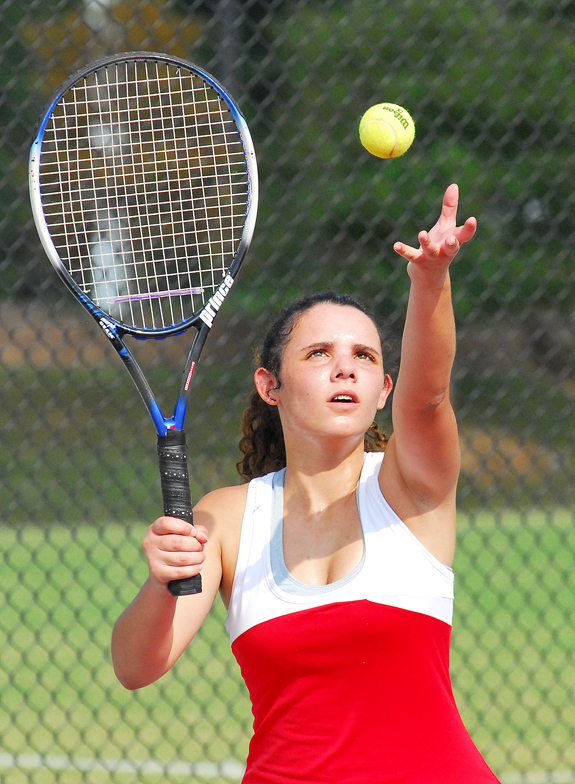 FRANKLINTON -- Northern Nash and Franklinton played one of the closest Big East Conference girls tennis matches earlier in the season, with the Lady Knights nudging FHS by just one match in Red Oak. But the rematch wasn't expected to be as tight as the Lady Rams were performing without two of their rotation players due to other commitments. 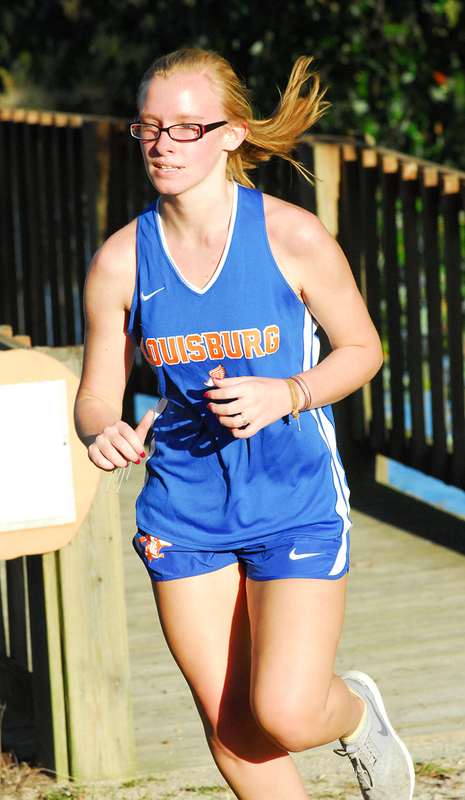 BUNN -- The cross country landscape has changed considerably in the Northern Carolina Conference -- in more ways that one. Durham School of Arts, North Carolina School of Science and Math and Franklinton -- all programs with a strong distance-running tradition -- have left the NCC for new leagues after the latest realignment by the North Carolina High School Athletic Associaton. 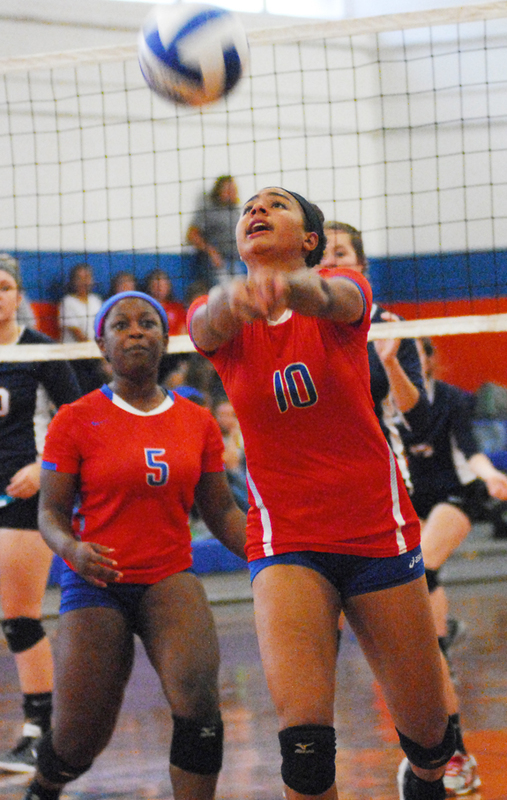 LOUISBURG -- Even with an undefeated record to go with a tradition-rich pedigree, the Louisburg Lady Warriors know that few victories will come easily once the Class 1-A State Volleyball Playoffs begin later this month. That fact was evident last Friday when the Lady Warriors hosted Franklin Academy for a non-conference meeting at the LHS Gymnasium. HENDERSON -- Louisburg came close, but the Warriors weren't able to put an end to their current football losing streak. Instead, LHS was edged 17-14 by Northern Vance last Friday in a key Northern Carolina Conference football matchup at the NV Field in Henderson. After opening the campaign with a victory, the Warriors have now dropped six games in a row to fall to 1-6 overall. 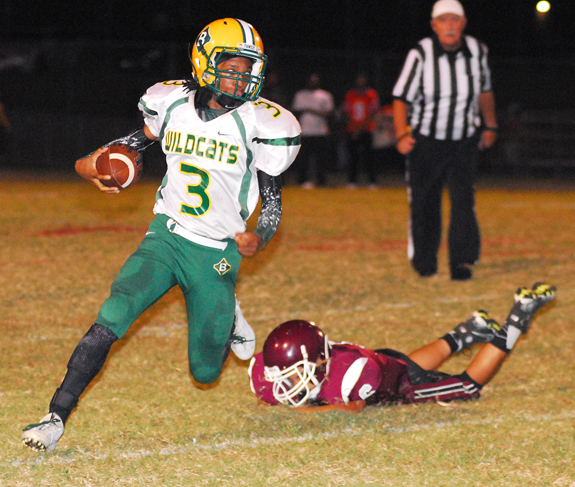 Bunn's Jacoby Rogers (left) goes behind the back to switch hands during this carry as part of the Wildcats' road football victory last Friday night at Warren County. 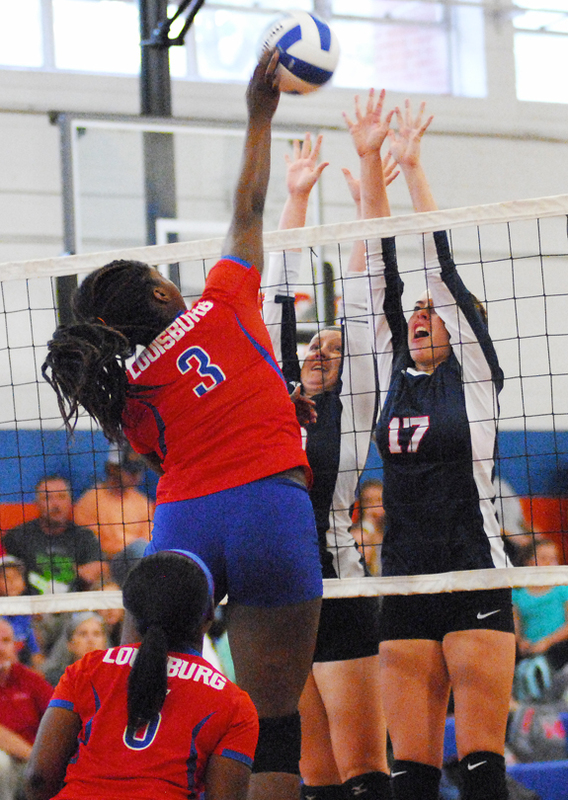 Louisburg's Ti'ashia Frazier (left) elevates for a kill last Friday against non-league foe Franklin Academy. Members of Henderson Assembly #195 Order of the Golden Circle recently delivered school supplies to Katrina Tunstall's classroom at Eaton-Johnson Middle School in Henderson. The class showed their appreciation with handshakes and hugs. 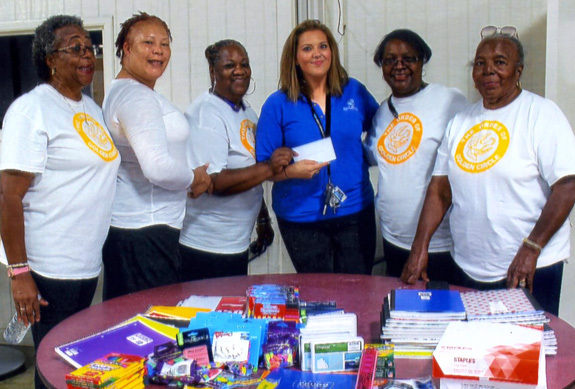 On the same day, members visited the Boys and Girls Club of Oxford and presented a monetary donation and school supplies to Granville Unit Director DeLauren White. YOUNGSVILLE -- The Franklin County Committee of 100 amended bylaws in an effort to keep up with the speed of business. The changes came during the organization's annual meeting at Wake Electric last week. Two particular changes will assure there is turnover amongst the officers on the board of directors, while also giving elected officers at least three years to institute their programs and assert influence. YOUNGSVILLE -- A Louisburg man was cited for flashing a gun during a road rage incident. A 56-year-old motorist reported that he was driving through Youngsville at about 6:30 p.m. on Oct. 2 when he and another driver began to make gestures at each other -- prompted by an altercation they had on the roadway. FRANKLINTON -- A resident's request to offer a secular prayer at a town meeting prompted a legal review of prayer at government meetings. The result was Franklinton officials removing the invocation from its meeting agendas, replacing it with a moment of silence. In August, resident Susan Dobie asked town staff for the official procedure that determines who presents the invocation as she was interested in giving a secular invocation at a future board meeting. Angela D. Morris-Manning, a 1993 LHS graduate and valedictorian, has achieved the rank of Lieutenant Colonel in the U.S. Air Force. 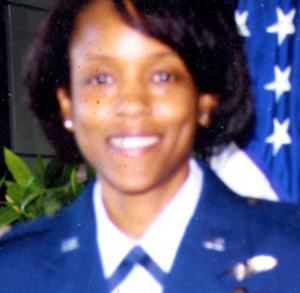 Lt. Col. Morris-Manning received her nursing degree from UNC-Chapel Hill School of Nursing in 1998. 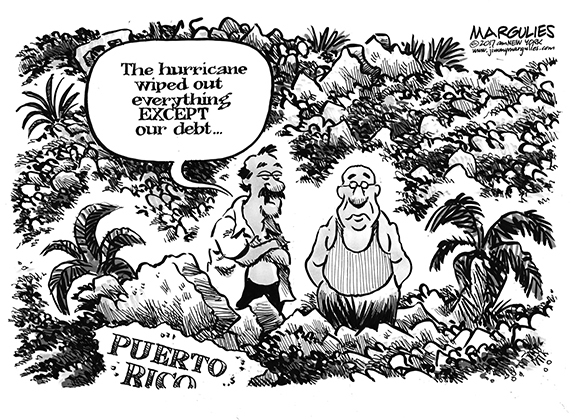 She also received a Master's degree from Vanderbilt University in Tennessee. She is presently serving in the state of Texas while pursuing a Doctorate degree. HENDERSON -- Two leaders who have left their marks on their communities -- both in the short-term and over the long haul -- were feted by the Kerr Tar Regional Council of Governments. 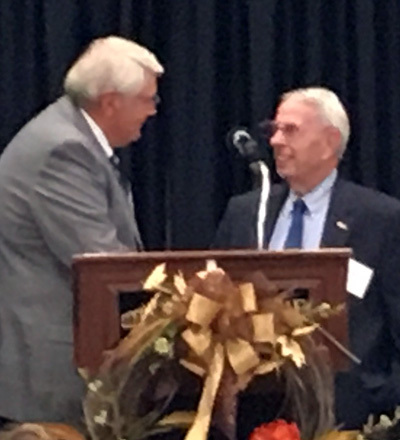 During the group's annual meeting, outgoing Youngsville Town Administrator Bill Tatum was recognized as the COG's Outstanding Town Administrator and Loiusburg Town Councilman Joe Shearon, who is ending his decades-long service in December, received the Outstanding Board Member Award.